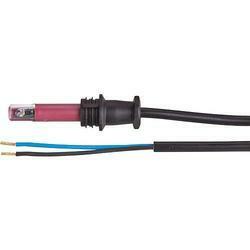 We offer Flame Electrode Sensors. Our range of flame electrodes functions by picking up the ions present in the flame and hence detecting the presence of the flame. We offer these electrodes in different shapes and sizes to meet the exact demand and requirement of the client. 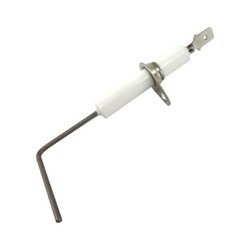 These flame electrodes can be immersed in the burner’s flame which is to be sensed. The current which is generated due to the flow of electrons through the flame, is detected by the controller. Moreover, these sensors are completely insensitive to visible light and refractory glows but very suitable for gas fired burners. We deal in Photo Voltaic type Flame Sensors. We are also experts at offering flame sensors of photo voltaic type. 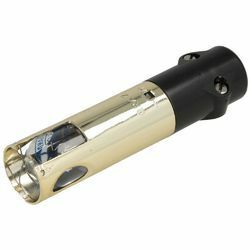 These sensors are made by using quality raw components and are also quality tested on different parameters to ascertain that highest international standards are duly followed. We offer Photoresistor Flame Sensors. We are engaged in designing and supplying a wide range of flame sensors, which utilize a light dependent resistor (ldr), also known as photo resistor, for sensing flames. These flame sensors are known for their ability to sense flames very effectively, especially those emitted by oil burners in boilers. The products are also capable of sensing all types of light including the sunlight and the light emitted by bulbs and tubes. We offer both front view type and side view type flame sensors under the photo resistor range.